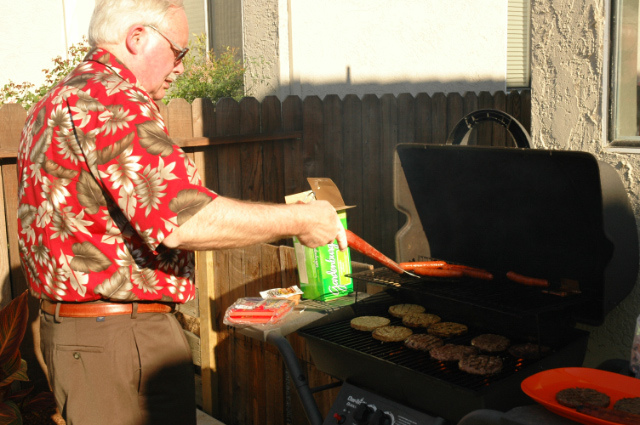 Shannon & Andrew's Blog: What a Great Housewarming BBQ! For some reason, I can't get all the pictures. It gives me an error message. Awwww. Anyway, we had a great time anyway. We love your house; you've both decorated it to the hiilt, and are both very talented and have a very unique style ofyour own. We're impressed! Very very nice. The area is beautiful. The drive from Sacramento to Discovery Bay was fun, and exceptionally pretty. I love the picture of the barn in the guest room. Everybody is talented in this family. The dogs are so cute and full of it, still. We love our dogs, don't we? Thanks again for inviting us to your happy home. Thanks Paula! Andrew fixed the link so enjoy the pics. Will do! Is this like Bennifer or TomKat? No....you two (actually you 4) are too much in love to compare to those Hollywood idols. Thanks for the pix. It was a wonderful party and I am so happy about your lovely house but when I saw my face in the picture, it looked like I hated everybody and was not having a great time. Don't you believe it. I really enjoyed myself and loved your house but my back was hurting so much when the picture was taken I didn't look too happy. Well, I really was happy and was smiling inside. I'm so happy for both of you. There may have been a great cook and food, but without great people, entertainers, and house it would not have been fun. Place looks amazing! Thanks for the invite and we all look forward to hanging out with you again! Love the website.